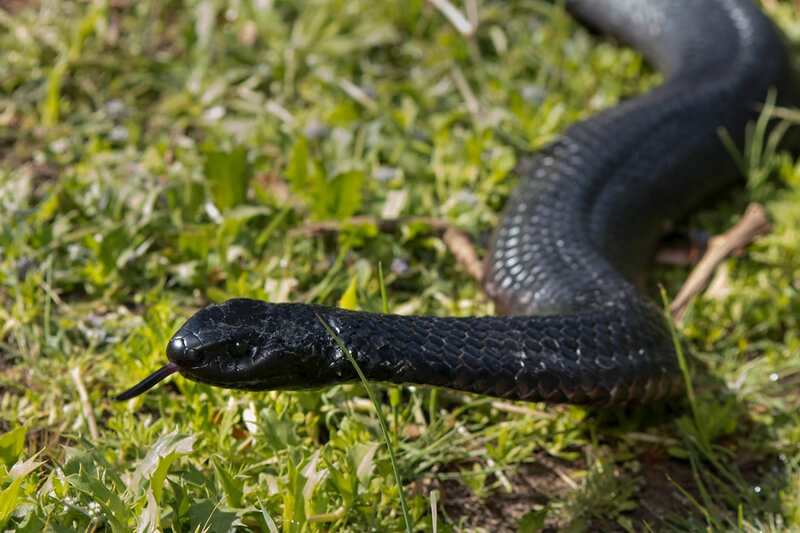 The most common species of snakes encountered in Victoria are Tiger Snakes, Red-bellied Black Snakes, Copperhead Snakes and Eastern Brown Snakes. All four species are venomous and are therefore potentially dangerous. However, there are many misconceptions about the behavior and danger of snakes and so-called aggressive tendencies. Snakes are generally timid animals and will usually flee at the first sign of danger. 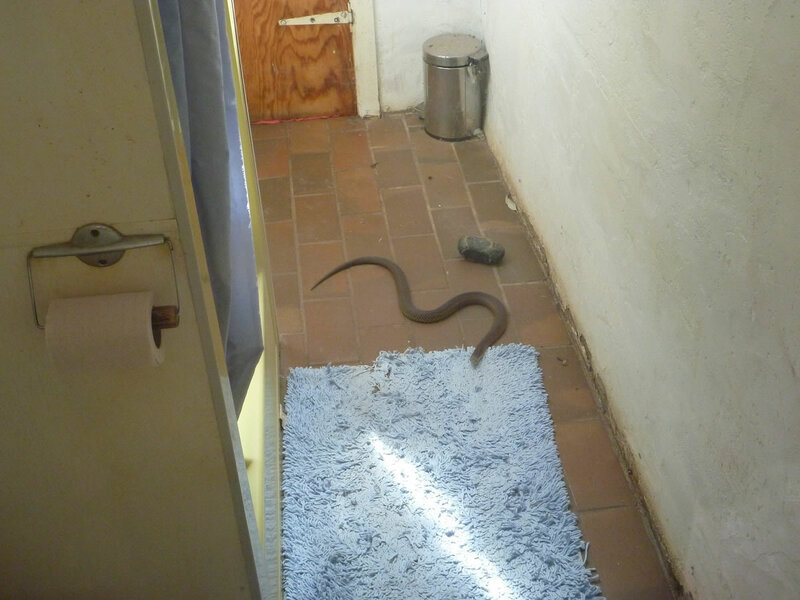 Many people are not aware that snakes even exist on their properties and encounters are usually by accident. It is rare for people to get bitten by snakes and it is often the consequence of someone attempting to kill the snake. Just because a snake is seen does not mean it needs to be captured and removed and it certainly doesn't mean it should be killed. 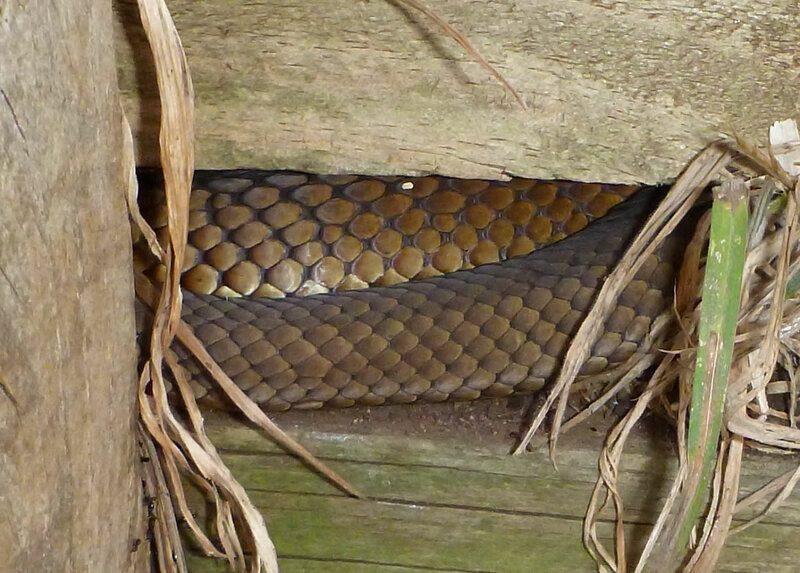 Snakes are an important part of the environment and can help control pests such as mice and rats. They are also protected by law and it is a serious offence to unnecessarily harm a snake. Snakes are fascinating animals and can provide an exciting wildlife experience when observed from a safe distance. Sometimes snakes are found injured. 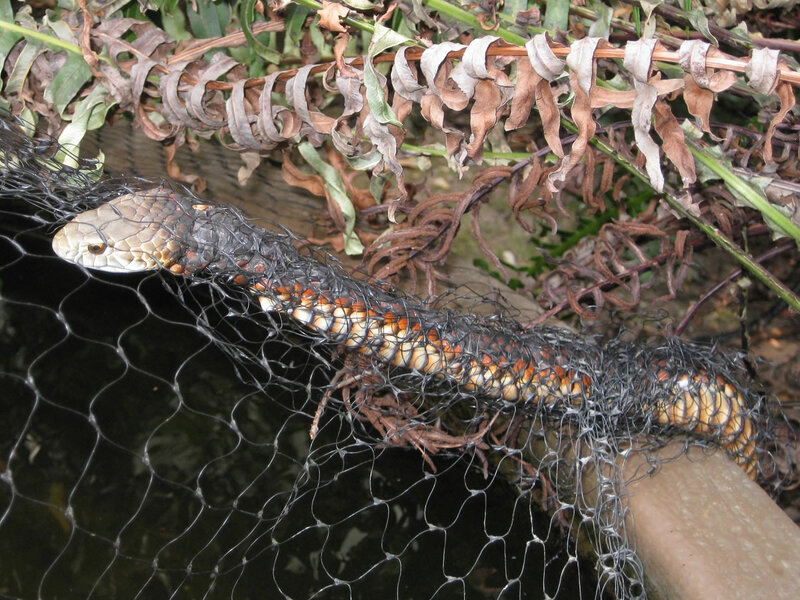 They may have been driven over, attacked by a cat or a dog or entangled in netting used to cover fish ponds or fruit trees. Whenever injury or entanglement is involved it is important to have the snake captured so that it can receive necessary treatment. 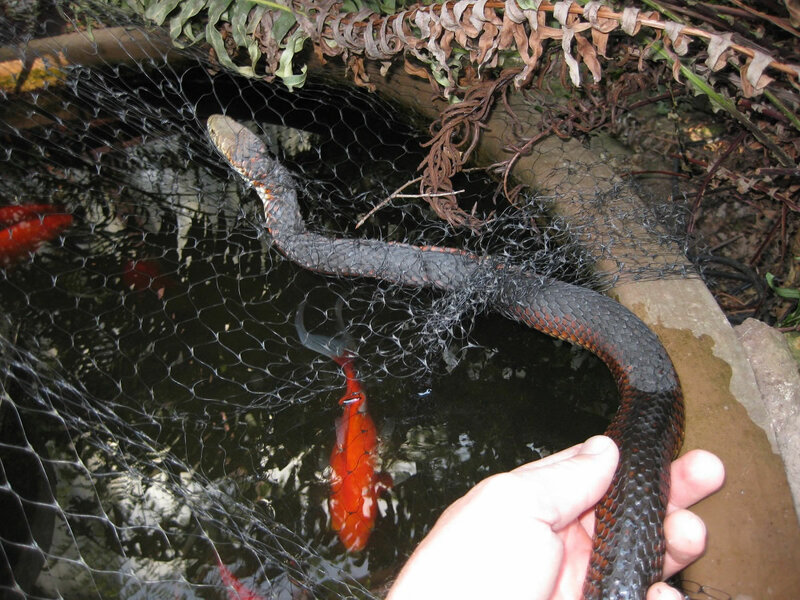 Injured or entangled snakes can take weeks to slowly suffer and die, which is very cruel. While snakes will generally avoid dogs and cats, pets can often be inquisitive or want to attack the snake. Having your beloved pet bitten by a snake is an awful and stressful experience and while you will no doubt be focused on getting your pet to the Vet, please spare a thought for the snake that is likely to be injured and suffering immensely as well. Like them or hate them, they suffer like any other animal and deserve humane treatment. 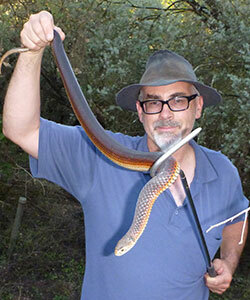 A snake catcher can attend to the snake while you are at or on the way to the Vet. The bonus, of course, is that you won’t have to worry about where the snake is when you get home. 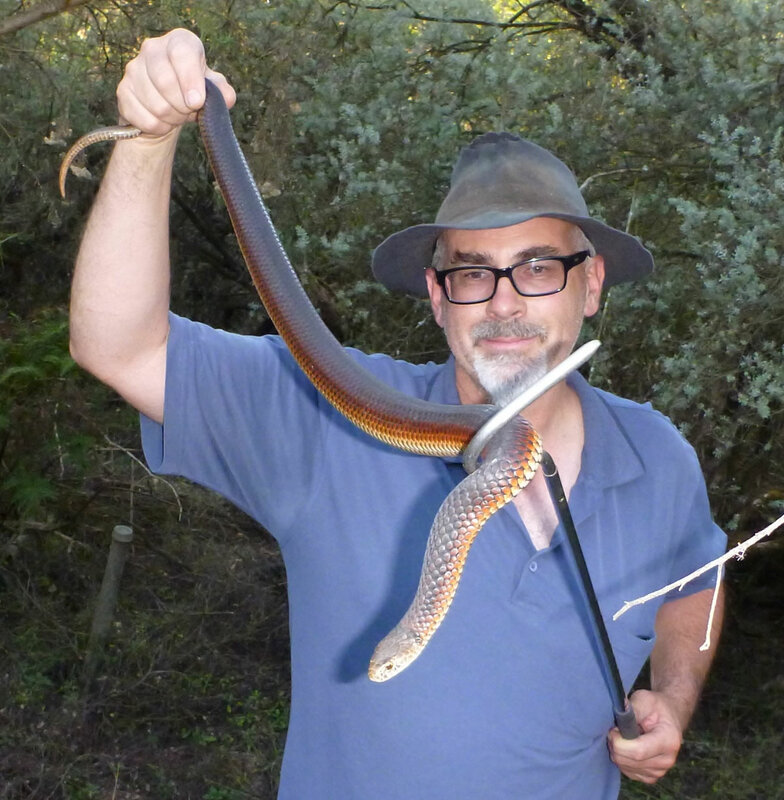 Many snake catchers, like myself, do not charge a commercial fee for rendering assistance to a snake injured by a pet. The fee for the capture and relocation of a snake depends mainly on the travel distance involved. 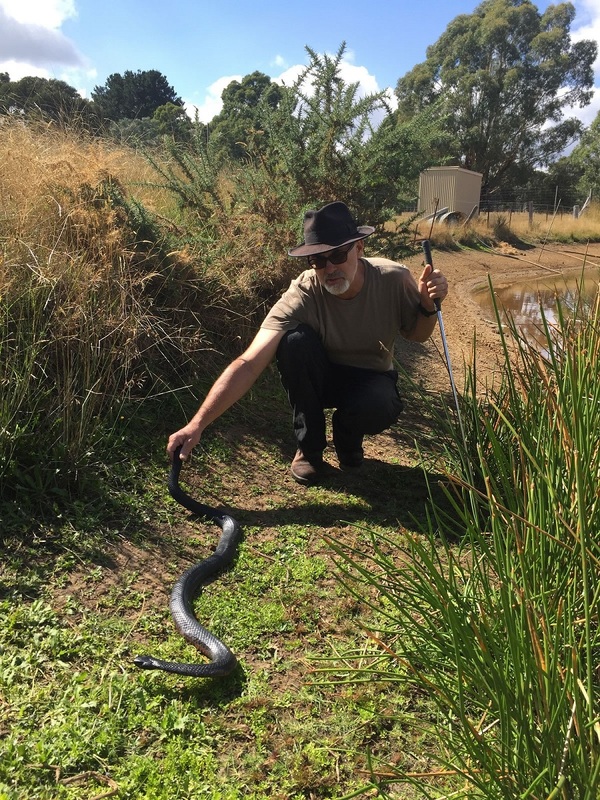 The fee includes time to search for a snake if it has moved off, capture and handling, and arrangements for release at an appropriate relocation site. Any medical treatments or care / rehabilitation needs are provided without charge but donations for costs of care are certainly greatly appreciated. First consider if the snake presents a safety risk such as if it is near pet areas, where children might play, or if it is an area that can't be avoided. Snakes will usually disappear at the first sign of danger and are often never seen again. Be realistic about the environment where the snake exists and if it is really necessary to relocate the animal. 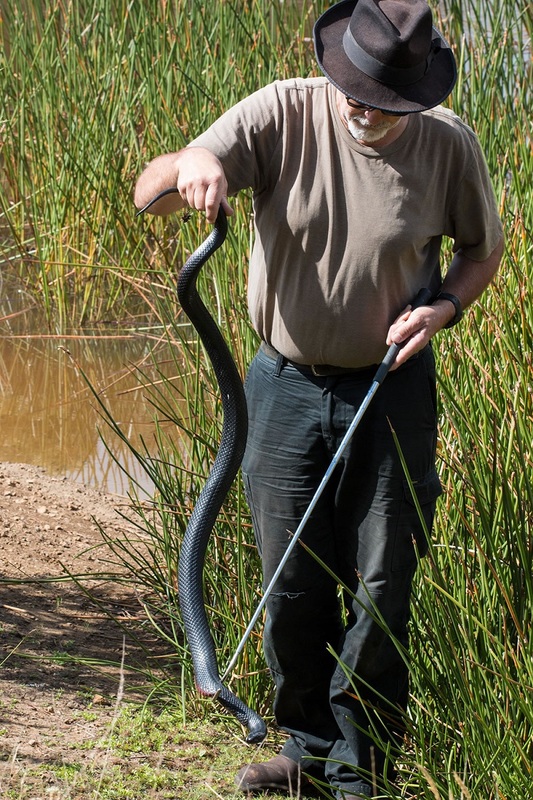 For example, a snake near a creek at the bottom of a 20 acre property is unlikely to be a problem and chances are that other snakes exist in the area anyway. It is OK to leave snakes alone and simply be careful and aware that snakes exist in the area. When a snake is sighted outside, it is usually basking in the sunshine as they must warm themselves before they can eat. It is important to keep well away for personal safety but also to avoid scaring the snake away and then wondering where it got to. Lock up dogs and cats inside the house or garage. 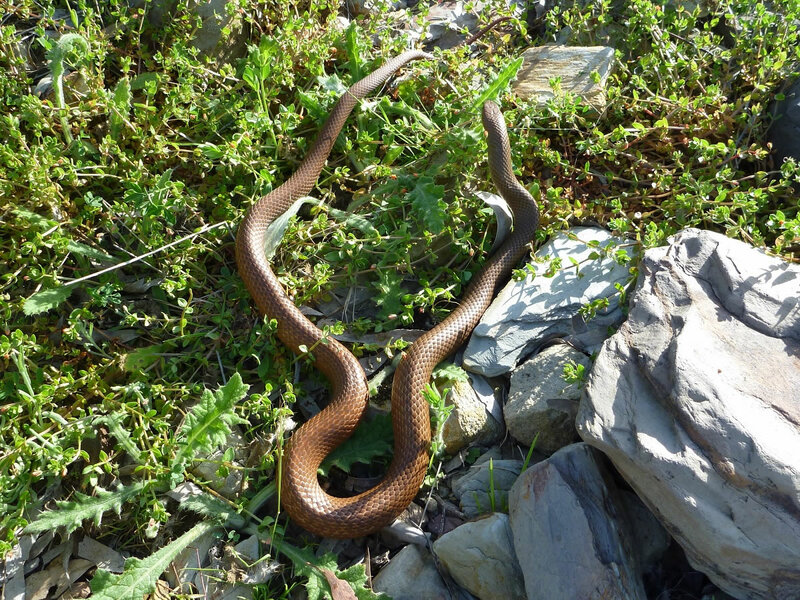 If undisturbed, a basking snake will remain still for a considerable time and allow an opportunity for a snake catcher to attend and relocate the snake if required. If possible, keep an eye on the snake from as far as possible until the snake catcher arrives in case the snake moves off and note the direction in which it moves. 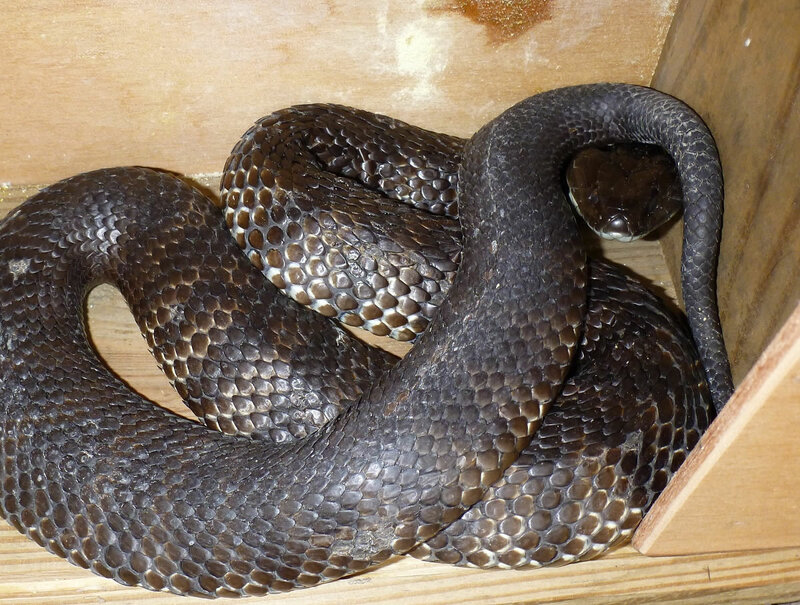 If a snake is observed moving through a property or the snake was disturbed and took off, it is unlikely that the snake will be found by the time a snake catcher arrives unless the snake was seen taking cover under a specific object such as a rock, a pile of wood, or a sheet of tin. Even then, searching can be difficult and is often unsuccessful. Some of the favorite hiding spots for snakes are under gas cylinders, in firewood sheds, around pop-up sprinklers, or in phone/power underground pits. Snakes will sometimes enter buildings in search of food (eg mice breeding in sheds) or to find a cool retreat on very hot days. They can also be displaced following periods of heavy rain even if it hasn't been hot. 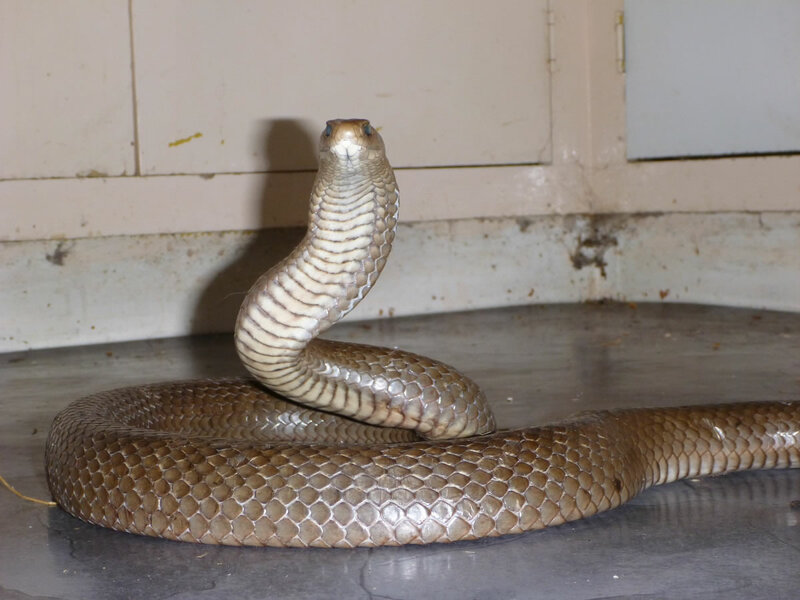 In winter, Tiger Snakes enjoy the warmth of a hot water service even if in the roof – a situation that plumbers don't seem to enjoy. 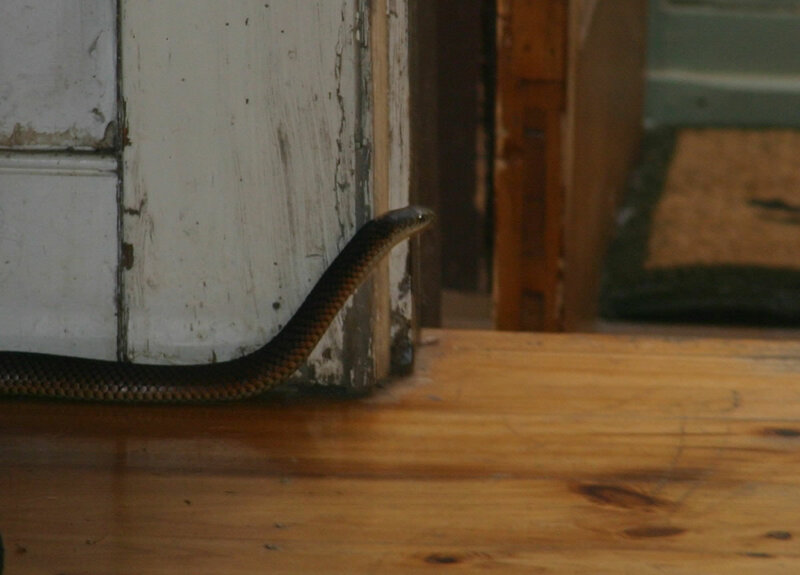 If the snake was seen entering the room of a house or a workshop or similar, a rolled towel can be used to block gaps under doors to help contain the snake. A wooden spoon or similar object can be used to wedge the towel into place. If there is no escape, an eventual capture and removal is almost guaranteed. If possible, keep an eye on the snake or potential exit points from a safe distance to observe which direction it moves. Do not attempt to deal with the snake yourself. The snake will be frightened in this environment and may be very reactive and quick to defend itself.